Whether it's because of an illness or stress, not having the desire to eat can be troublesome if it leads to unwanted weight loss. Unfortunately, there are no foods that are going to make you want to eat more. If you're struggling to eat enough, there are a number of strategies that may help you pack in more calories. If you have a medical condition or other health-related concerns, consult with your doctor or a dietitian for help in addressing your specific dietary needs. When your appetite is small, it's important to eat foods you enjoy that pack in as many calories as possible. Though fast food and sweet treats may sound like the way to go, it's smarter to eat healthy, high-calorie foods. That way, you can prevent weight loss while getting all the nutrients your body needs. There are a number of nutrient- and calorie-dense options from all the food groups. Avocados, bananas, dried fruit, sweet potatoes, white potatoes, peas and corn make good high-calorie fruit and veggie choices. For calories and extra protein, enjoy eggs, hummus, cheese, pudding, nuts and nut butters. From the grain group, try dense whole-grain breads and bagels, grape nuts, quinoa and raisin bran. Even if you're usually a breakfast skipper, grab something for your morning meal. Eating breakfast may increase your desire to eat, according to the University of Texas. 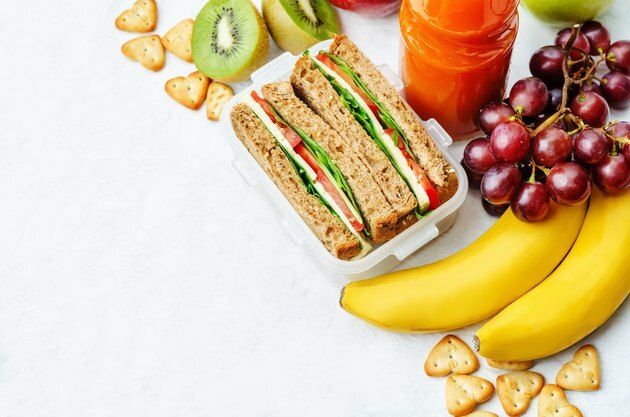 You may also feel hungriest at breakfast, making it a good meal to pack in calories from eggs and whole-wheat toast, a bagel with sliced cheese or a bowl of raisin bran with whole milk. Keeping meals small and eating more often may also improve your intake when your appetite wanes. Plan to eat breakfast, lunch and dinner with two to three snacks in between each meal. Sometimes the calories go down more easily as beverages. One-hundred percent fruit juice and whole milk are good choices. You can also make a healthy, high-calorie fruit smoothie. Try blending a small banana with a tablespoon of peanut butter and 1 cup of whole milk to create a 310-calorie smoothie. Or, blend 8 ounces of orange juice with a cup of halved strawberries and 18 cashews for 320 calories. Nutrition supplement drinks may also work for you. In ready-to-go bottles, they're convenient and have as many as 360 calories in an 8-ounce serving. They're also a good source of protein, are fortified with vitamins and minerals and make a good fill-in on those days you just don't feel like eating. Every calorie counts when your appetite is on strike. Use "calorie boosters" to add concentrated calories to your food. Oil, butter, nut butter, dried milk powder and gravy are good high-calorie mix-ins that won't make you feel too full. Stirring 1/4 cup of dry whole-milk powder into a cup of mashed potatoes increases the calories from 230 to 385 calories. Sauté your veggies in olive oil, which has 45 calories per teaspoon, and toss it in your favorite grains to boost calories. Butter added to bread, potatoes and veggies is also a tasty way to boost calories, or toss dried fruit and nuts into hot cereal and yogurt.